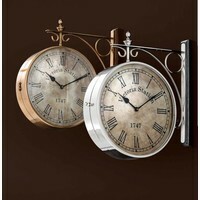 Station clock Regent Street from the Dutch quality label Eichholtz, made of aluminum with a polished nickel finish. The dial comes in off-white ancient look and Roman time indicators. 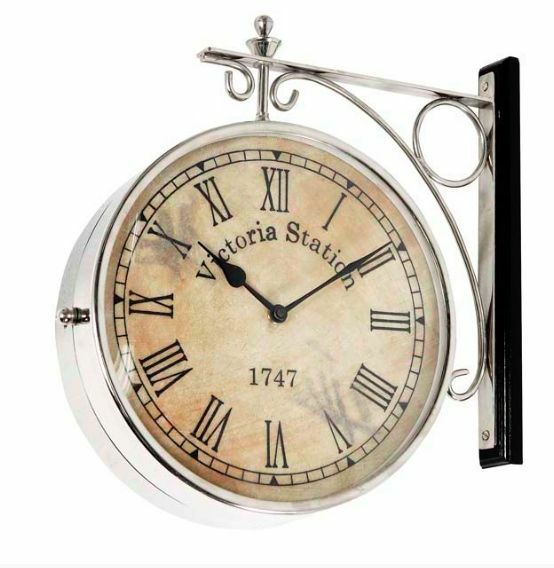 The dial is protected on both sides by curved glass. 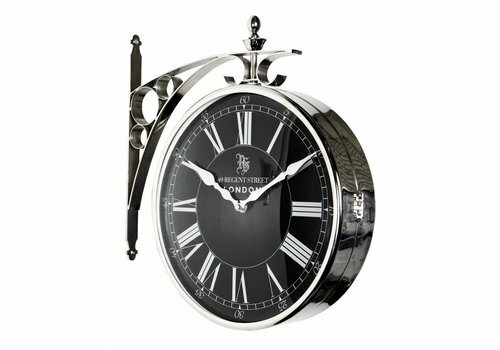 The round casing has a diameter of 28cm, the total station clock has a size of 39cm. The clock is readable on both sides and is to be mounted on a wall. 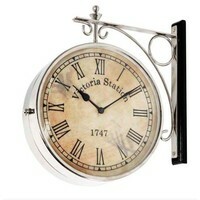 The design is a reference to traditional english station clocks. The products of Eichholtz are distinguished by the refined product design, the use of polished materials and the perfect finishing as you would expect from a Dutch quality company! The style of Eichholtz can be described as ''modern chic'', eclectic international with a touch of glamour. 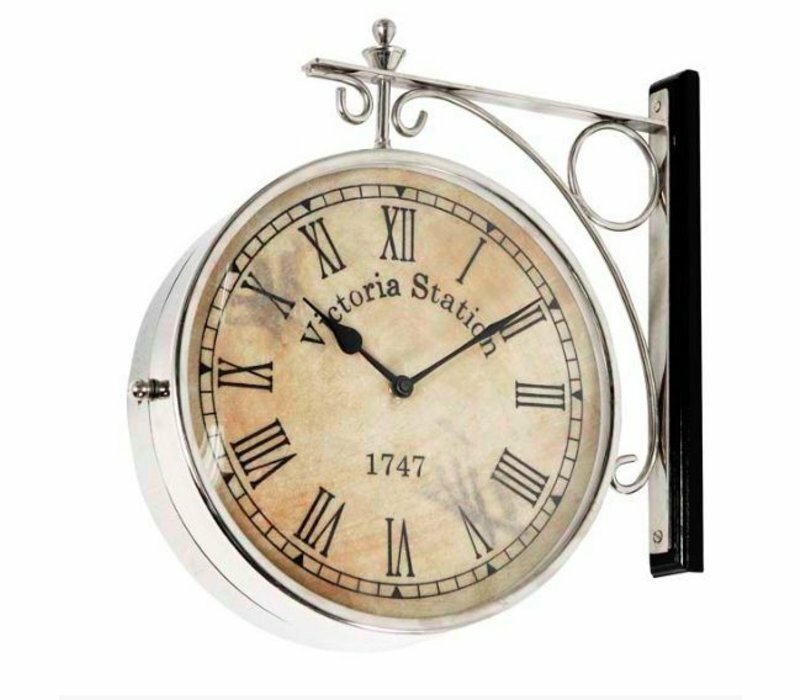 Will this beautiful station clock soon be hanging in your kitchen, hall or living room? Would you like more information about this product? Please contact our customer service through 033-828 0140 or service@wilhelminadesigns.com Ordering directly is also possible, use the green order button to do so, it takes only 2 minutes. Shipment is free! Are you not completely satisfied with your purchase? At WDS you get a 14 day cooling-off period. 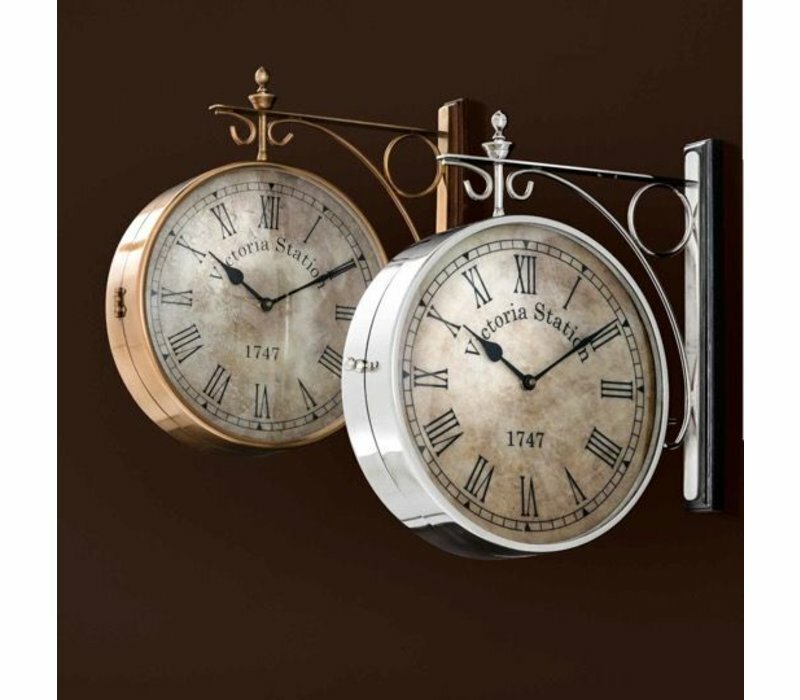 Prachtige klok besteld.Was snel bezorgd, goed verpakt.Dik tevreden! 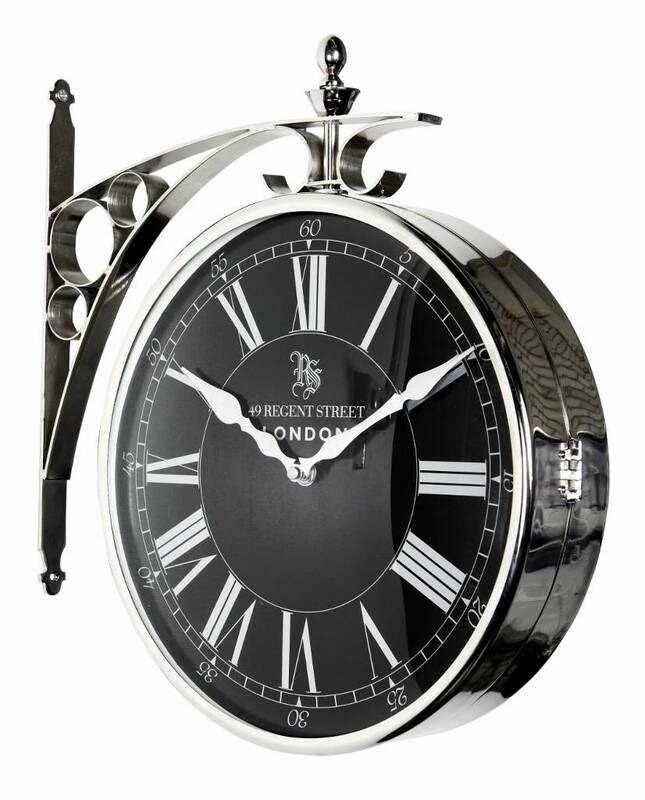 Pocket watch clock designed by upscale dutch design label EICHHOLTZ. The best in classic style and quality!